Maryland has unique rules affecting shift breaks, sick leave, and equal pay that affect how you do payroll in Maryland. It’s best to educate yourself on Maryland payroll laws, use payroll software or partner with an experienced payroll provider to avoid potential fines based on these laws when doing payroll in Maryland. Multistate employers and those who employ workers in Maryland may wish to use affordable payroll software like Gusto to ensure that they’re in compliance with state and local labor and tax laws. Gusto is easy to set up and use, provides employee self-service and is compliant with state and federal law. It also offers a free 30-day trial. 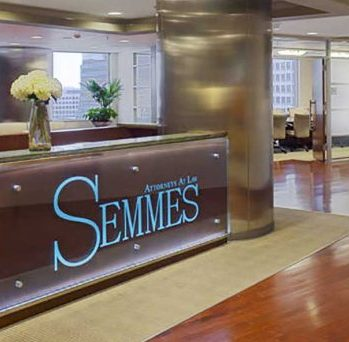 Disclaimer: Fit Small Business does not operate as a licensed legal or tax professional. We recommend you consult with your lawyer, payroll accountant, or licensed professional for decisions related to your payroll process. Doing payroll in Maryland requires you to be aware that the state minimum wage is $10.10, and non-exempt employees get paid overtime at 1.5 times their regular wages after 40 hours in a work week. Maryland payroll taxes include state withholdings as well as local taxes in some counties. Like many states, Maryland has its own state laws that affect payroll. In particular, Maryland’s Workplace Fraud Act cracks down on worker misclassifications in the construction and landscaping industries; you have to make sure you know the difference between who is a contractor and who is an employee when you set up your payroll. 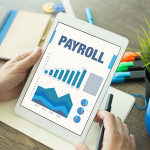 Here are the five steps to manage your payroll in Maryland. Maryland is stricter than other states which may defer to federal minimums ― specifically when it comes to minimum wage, break times, and employee leave. In addition, they require pay stubs be provided and mandate equal pay for equal work across all employers, regardless of size. It may be helpful to view the examples below showing how payroll in Maryland is stricter than the federal government. Some of these differences come into play based on how many employees you have. Maryland’s minimum wage is $10.10 per hour, which is higher than the federal minimum wage. In addition, employers in Montgomery and Prince George counties pay an even higher minimum wage ― $12 and $11.50, respectively. To complicate the rules further, employers in Montgomery who have 51 or more employees have to pay a minimum wage of $12.25 an hour. Overtime is calculated the same in Maryland as in most states in the United States. After 40 hours of work within one week, the employee is paid overtime at a rate that’s 1.5 times their regular pay rate. However, Maryland provides some overtime exemptions, such as for administrative employees and seasonal workers. Maryland requires employers to give their employees a 30-minute unpaid break if they’ve worked six or more hours in a row. However, this doesn’t apply to retail employees in stores with 50 or more employees. Instead, those retail employees are entitled to a 15-minute break. 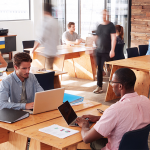 In addition, any employee who works eight hours or more is entitled to both a 30-minute unpaid, nonworking break and a 15-minute break at least every four hours. Due to the Fair Labor Standards Act (FLSA), all breaks that are 20 minutes or less must be given as paid time, even when it’s a nonworking break. Maryland requires small businesses, ranging from one to 14 employees, to provide their workers with unpaid sick leave. Paid sick leave is required if you employ more than 15 workers. Sick leave of 40 hours can be granted at the start of each year, or employers can set up an accrual system that awards employees with one hour of sick leave for every 30 hours worked. Refer to our article on sick leave for a free downloadable policy template. Time and attendance software like Homebase can be a lifesaver when managing overtime, breaks, and leave balances in Maryland. Homebase is easy to set up and use, has a mobile app, and offers communication tools to keep you informed of changes. It allows you to pre-approve time off requests and track sick leave, and it interfaces with popular small business payroll software. It’s free if you have only one location. Get your free account. Maryland allows you to pay employees weekly, biweekly or semimonthly. They don’t generally allow you to pay employees monthly. Employee payments can be made in cash or check. In fact, direct deposit is allowed in Maryland only if the employee authorizes it; a Maryland employer cannot require an employee to use direct deposit. Further, if a payday falls on a holiday, you’re required to pay the employees on the last business day prior to that holiday date. Maryland requires the pay stub to include basic information about your company as well as information on earnings, pay rate, deductions, and hours worked. If you have more than 15 employees, you must also include how much sick time/paid time off (PTO) the employee has earned and used. Maryland requires that you provide employees with their final paycheck on the next scheduled payday ― whether you fire them or they quit. Of course, if they quit, you can always give them their final pay that day and be done with it. However, that’s not mandated by the state. There’s also no requirement to pay out unused sick or vacation leave upon termination. Whether you provide that or not is instead dictated by your company policy. Maryland provides a payment system called WebTax to make it easy for businesses who hire workers to pay their Maryland payroll taxes. They require businesses to pay Maryland unemployment insurance as a tax liability, with a rate that ranges between 0.3 and 7.5%, based on your business’ unemployment experience. New employers start at a rate of 2.6%. In addition, Maryland exempts Social Security retirement benefits from being taxed. Other than these unique issues described above, Maryland follows federal U.S. Equal Employment Opportunity Commission (EEOC) and FLSA laws when it comes to paying employees. Here’s additional information on federal labor laws that affect Maryland payroll. You could do payroll yourself or use free payroll software, but it’s risky in Maryland. That’s because most free tools don’t have the leave management and sick leave accrual options you’ll need once you have 15 or more employees. In addition, you have to track shift breaks. That’s simply too much paperwork even if you have only one employee, much less dozens or more. Payroll providers like Gusto provide state-compliant payroll and can file Maryland payroll taxes on your behalf. They also offer new hire reporting and pay stubs. Gusto can save you the trouble of keeping track of when labor laws change while letting employees view their pay stubs online. Gusto can help you set up and manage your payroll cycles, track paid and unpaid sick leave and provide year-end W2 and 1099 tax reporting. Get your first payroll free. Payroll providers will require two sets of data to set up your payroll processing in Maryland. The first set of data is about your company and employees, such as your company name, information on your employees, and suggested payroll timeframes. 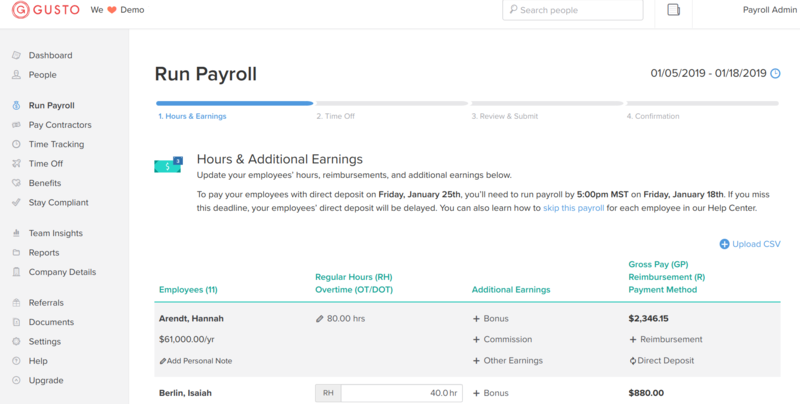 Then, each payroll cycle they’ll need you to provide employee work hours and any changes like new hires, promotions, and terms. Your payroll provider will request company data, tax information, your payroll bank account number, employee information, and any benefits documentation if you currently offer health insurance or a 401(k) as examples. They’ll also need to know which specific counties your employees live and work in for local tax purposes. For those using online software, your year-to-date payroll data can often be uploaded using XLS or CSV file format, making the transition easy. For additional insights and a checklist, read how to set up payroll. After your payroll vendor sets up your payroll process and data, you’re ready to key in worker’s hours for your first payroll run. A payroll run is a process you execute that calculates gross and net payments for your employees. You won’t need to retype each employee’s name and pay rate each pay period, and that data is stored electronically. However, you’ll likely need to input new data for variables like how many hours your non-exempt staff worked, new employees you’ve hired, PTO days taken by existing employees, and names of those who have quit or been fired. Payroll software like Gusto makes inputting these changes easy as part of your payroll process. To save time from entering employee work hours, consider using free time and attendance software like Homebase that uploads hours worked into Gusto each pay period. In addition, your payroll provider will need to know if anyone was promoted or received a pay rate change so that they can update that employee’s status and pay rate. Online payroll software like Gusto makes it easy to manage payroll in Maryland. 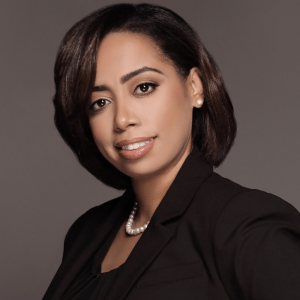 Maryland employers who are leery of making payroll or tax mistakes might find working with a professional employer organization (PEO) to be a better solution than managing payroll themselves. An established PEO like ADP TotalSource provides HR and payroll consulting, and partners with your business to ensure compliance with all federal, state, and local laws and tax rules. After you key in the time worked or upload time and attendance data from your software, you’ll then review each employee’s data to see if you need to make additional changes ― like adding a bonus for your sales manager or making a deduction for a uniform purchase. You do this each pay period before you “run payroll” and process employee net pay onto a check. Payroll software typically allows you to view your numbers ― like total earnings and deductions ― before you finalize each payroll run. Verify your calculations to make sure they appear to be in line. Gross pay: Payments that are typical for employees or contractors? Taxes: Taxes appear to be reflecting the percentage of pay (and are not zero)? Benefits: Deductions are included and fall within the range of what you’d expect? Total: Your payroll total for the payroll is consistent with what you expected it to be? Dates: Payroll start and end dates are correct to ensure employees get paid on time? Some payroll services, such as ADP TotalSource will process your employee payroll based on each employee’s salary or hours worked. Using payroll software like Gusto, you’d key in work hours manually, add bonuses, and input new hire data yourself. You’d also mark the last day worked for any employee who was terminated during the payroll cycle. Of course, using timekeeping software like Homebase time and attendance data could be interfaced into payroll software, which includes hours taken for vacation or sick time off. Your payroll run would then process all that data into net pay amounts for each employee. 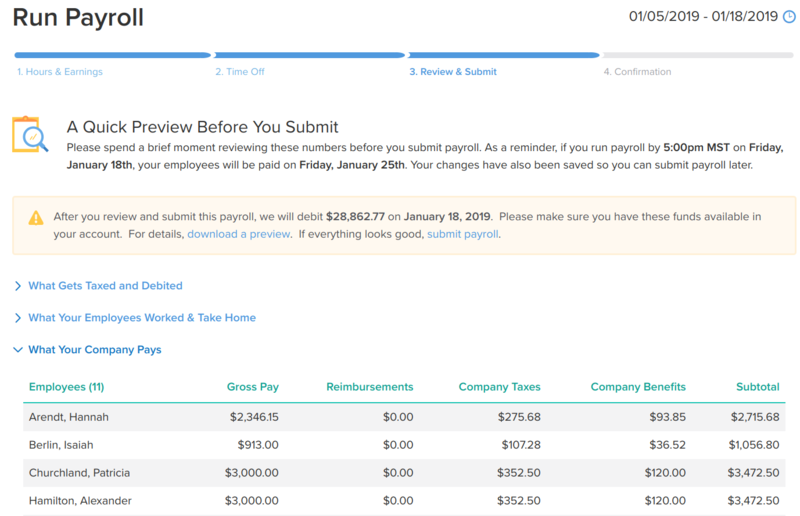 Gusto lets you verify your payroll run before you submit it and pay employees. Paying employees can take many forms. You can give them cash ― not recommended ― provide them a check with a pay stub, which is required in Maryland, or pay them with direct deposit if you’ve received their approval in advance. For example, if you were working with Gusto, you’d print out the paychecks yourself using bank-approved check stock (paper). Whereas with ADP, they’ll print checks and mail them for you. Both vendors can provide direct deposit and pay card options too. You may run into exceptions or special circumstances when processing payroll. For example, let’s say you pay hourly workers every other week, but noticed that an employee forgot to input their overtime for the last pay cycle. Or, what if your sales rep met their end-of-month promo goals and was promised a bonus before the weekend? In Maryland, it’s best to retain your payroll documents for five years. That’s longer than most federal agencies require. For complete information read our article on what payroll documents to keep and how long to keep them. The best way to manage your payroll documents and employee files is to use payroll software that has a document storage feature included, like Gusto. Gusto retains documents by employee so that you can find everything from signed I-9 forms and W-4s quickly to pay stubs in one affordable and easy-to-use system. Get your first payroll free. What’s nice about payroll laws in Maryland is that you can find them all on Maryland’s Department of Labor website. In fact, their mandatory posting requirements page provides a link to each law and the agency that manages it ― complete with a phone number to contact if you have questions as an employer. In addition, Maryland requires you to apply the correct tax rates and report new hires to the state. Maryland expects employers to withhold state taxes ― in addition to federal income tax withholdings ― for their employees. State taxes range from 2% and 5.75%, depending on the earner’s income and filing status. In addition, 24 counties in Maryland have local tax rates as well; those range from .0175% and 3.2%. Further, Maryland requires employers to pay an unemployment insurance tax that ranges between 0.3% and 7.5%, depending on experience. Maryland’s tax withholding tables can be found on the state’s government website. If you’re using payroll software like Gusto, these tax withholding rates are typically programmed into the software. New hire reporting is required in Maryland for non-immediate-family members who make more than $1,000 in a quarter. Small businesses must report new hires within 20 days. Failure to report new hires can result in fines that vary from $20 to $500 per employee. You can learn more on the Maryland Department of Human Services website. Many small businesses find the nuances of state laws difficult to track. That’s why some use affordable online payroll software like Gusto. It provides new hire reporting and tax filing in compliance with state laws and can even offer consulting services if you have questions about Maryland payroll taxes. Try Gusto free for 30 days. Attorneys working in Maryland are often aware of the common mistakes made by employers doing payroll in that state. Here are a few payroll mistakes you can avoid. Doing payroll in Maryland isn’t as complex as some states like California. Nonetheless, small businesses have questions about Maryland payroll that we’ve answered below. Don’t fret if your question and answer aren’t shown. You can post additional questions on our forum; our experts typically respond in a day or so. How Much Is Payroll Tax in Maryland? Employers have two ways to calculate their Maryland payroll taxes and withholdings: the percentage method and the regular method. In either case, rates range from 0.0175 to 0.0320, depending on the county. In addition, Maryland provides several tax calculators to help you determine what you’ll pay in payroll taxes. What Payroll Cycles Are Allowed in Maryland? Maryland allows biweekly and semimonthly payroll cycles. Of course, hourly employees living paycheck to paycheck often prefer weekly paychecks. There are a few exceptions in which you can pay employees monthly, but it’s not the norm in Maryland. 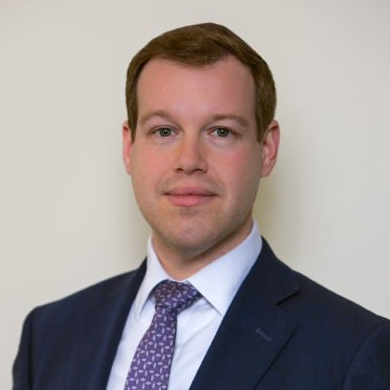 Are Employers Required to Withhold Maryland Local Taxes? In addition to withholding state and federal income taxes for your employees, if you employ workers in one of the 24 Maryland counties that levy local income taxes, you’ll have to determine the tax rate for that county. You’ll then withhold that local tax amount from the employee’s paycheck as well. What Must Be Printed on an Employee’s Pay Stub in Maryland? In Maryland, you must provide company information, along with information about employees and their earnings ― their pay rate and how they are paid, such as hourly or salaried. You should also include the employees’ hours worked as well as the pay period start and end dates. In addition, you’ll list any payroll deductions taken, such as for health insurance. If you have more than 15 employees, you must also show their leave balances, including leave accrued and taken. How Do I Get a CRN Number in Maryland? Maryland provides a central registration number (CRN) for businesses operating in that state. It’s an eight-digit number used for your Maryland tax withholdings. You can call 410-767-1340 or complete an application online to get one. What Is Maryland’s Supplemental Tax Rate? The supplemental tax rate in Maryland ranges between 3.2% to 8.95%. It’s applied to bonuses, commissions, severance pay, and other payments made in addition to the employee’s regular earnings. How Can I Find Out If My City Has Additional Payroll Requirements? Maryland provides a complete guide on wage payments and employment standards that you can find on its Department of Labor website. However, you may also want to do an internet search in your county. For example, Montgomery County applies sick leave requirements to employers with five or more workers ― instead of 15 ― like rest of the state. Is there someone I can call or email with questions about Maryland payroll laws? The Division of Labor and Industry provides a phone number: 410-767-2357, and an email address: dldliemploymentstandards-dllr@maryland.gov. In addition, you can contact the Office of Small Business Regulatory Assistance (OSBRA) at 500 North Calvert Street, Fourth Floor, Baltimore, MD 21202. You can also call them at 410-230-6101. For general inquiries email osbra.inquiry@maryland.gov, or email small.business@maryland.gov for questions about sick and safe leave. Doing payroll isn’t difficult if you have the right payroll provider. However, there are a few rules in Maryland that differ from other states. Being aware of Maryland’s unique state laws and local tax rates ensures you avoid silly mistakes or unexpected fines when running payroll in Maryland. The best way to do payroll in any state ― as they all differ somewhat ― is to work with a national payroll service that has payroll laws programmed into its software. Gusto is a great example; in addition to affordable payroll software starting at $39 per month, plus $6 per month, per employee ― it provides easy new hire onboarding, all tax filings and compliance with all U.S. state laws. Get your first payroll free.